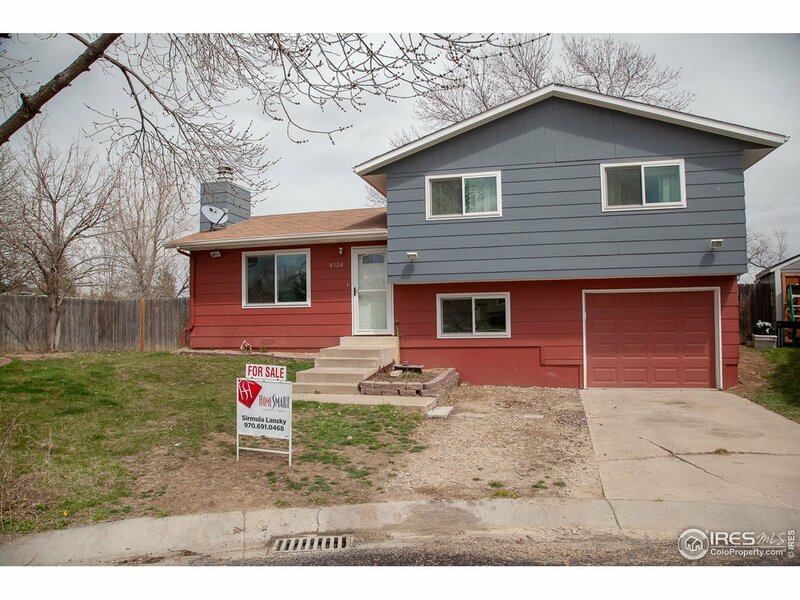 Nicely maintained and affordable 4 bedroom Tri-level with brand new triple pane windows, wood burning fireplace insert, convenient location between Fort Collins, Windsor and Loveland, just off I-25. Sound barrier wall is being in process to be build soon. Home is located in cul-de-sac. Nice big yard all fenced with stamped patio. HOA includes waste management, clubhouse with pool, tennis and play area. Roof has been repaired couple months ago. Fossil Ridge/Preston/Bacon schools.